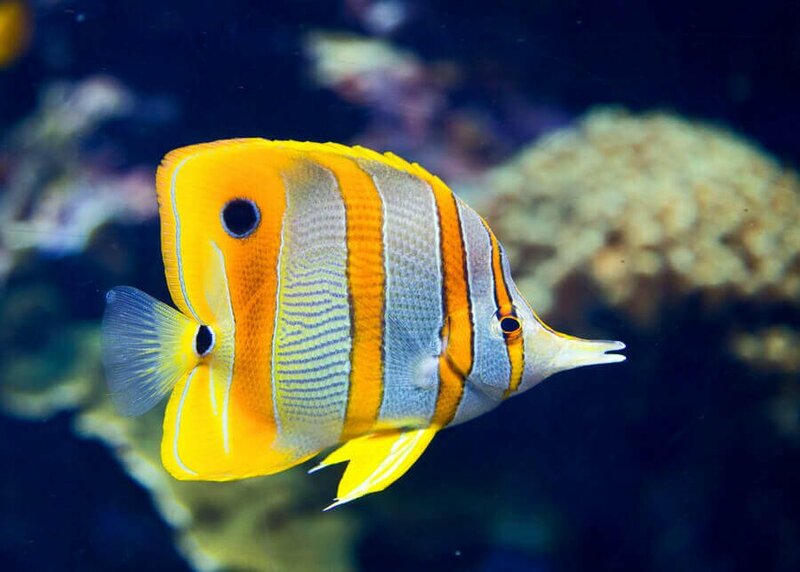 The rule of thumb for aquarium stocking rates is commonly considered one inch of fish for every 2 gallons of freshwater; and one inch per three gallons of saltwater. This rule is based on small bodied fish such as neon tetras and similar sized fish. 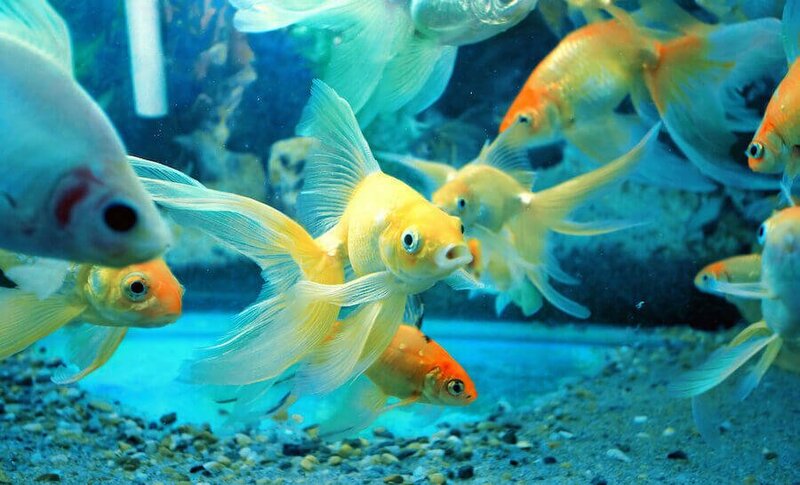 A wide spread misconception about stocking an aquarium is that fish growth is depended on the size of the aquarium. 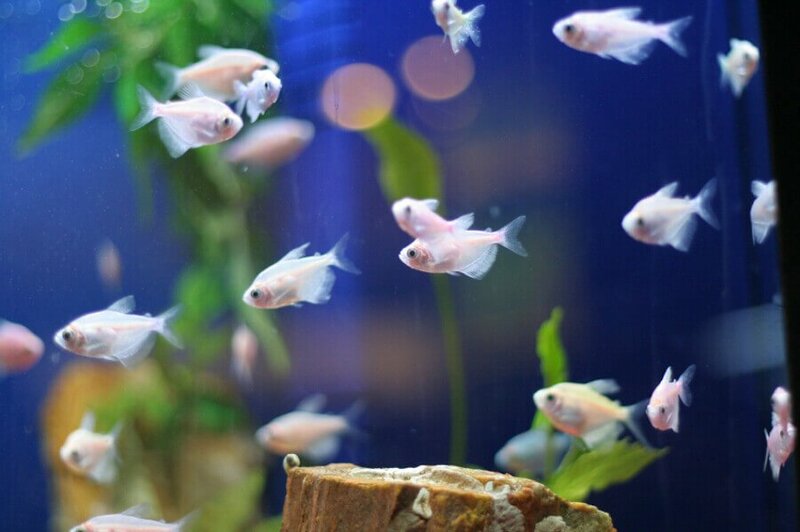 Fish will grow to their potential, and while stunted growth may occur, it is not due to the size of the aquarium. The cause is declining environmental conditions. 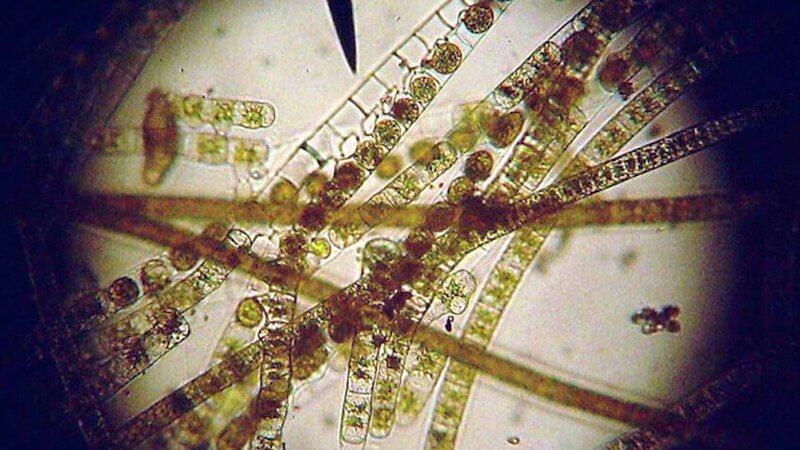 Deteriorating water quality will create unfavorable and sometimes lethal conditions. 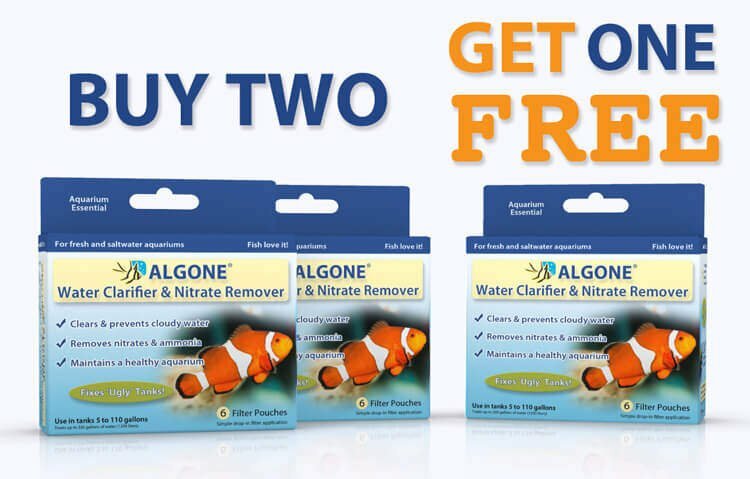 Assuming an aquarium is hooked up to a constant flow of water ammonia, nitrite, nitrate, and other waste particles would not accumulate as they are constantly flushed from the system. Many fish could be housed in this setup. This is indeed common practice for fish farms and commercial breeders. Since this is not practical for the hobbyist the aquarium at home is filled to capacity and subject to accumulating waste because of it. 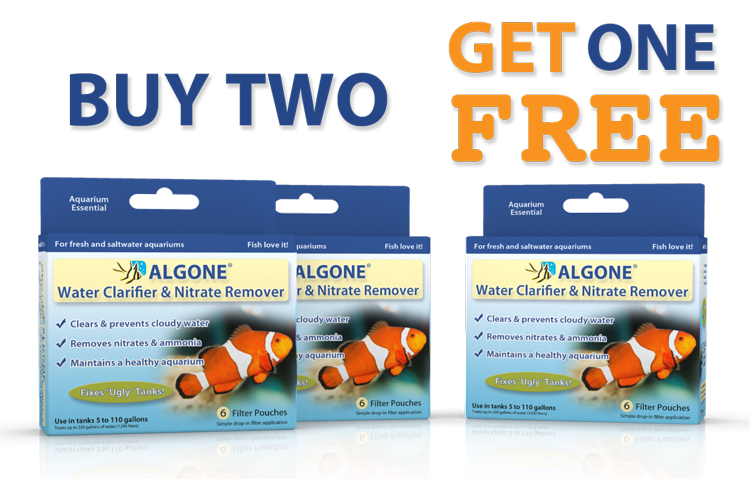 With water surface agitation providing oxygen, a filter removing solid waste and bacteria colonies breaking down ammonia and nitrite, natural conditions are created as closely as possible. Good aquarium maintenance, responsible feeding, and good general care will create a life sustaining environment. It is helpful to understand what the filter rating means. The industry standard for this rating is based on the requirements of 1 inch of fish per Gallon of water for small species, and 3 inches per Gallon for larger species. 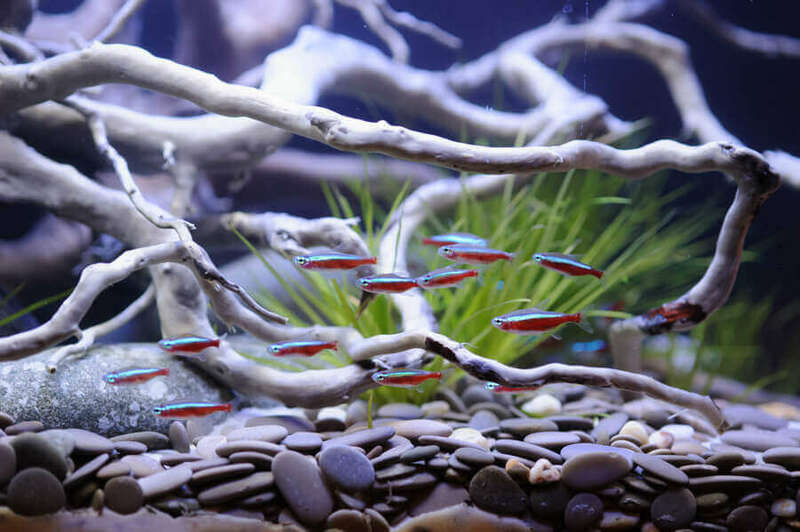 For example, 20 one-inch Neon Tetras in a 20 Gallon setup reach the upper limit of a filter rated and recommended for a 20 Gallon aquarium. 30 Neon Tetras in a 20 Gallon aquarium would therefore require a filter rated for a 30 Gallon tank although a bigger tank would also be advisable. 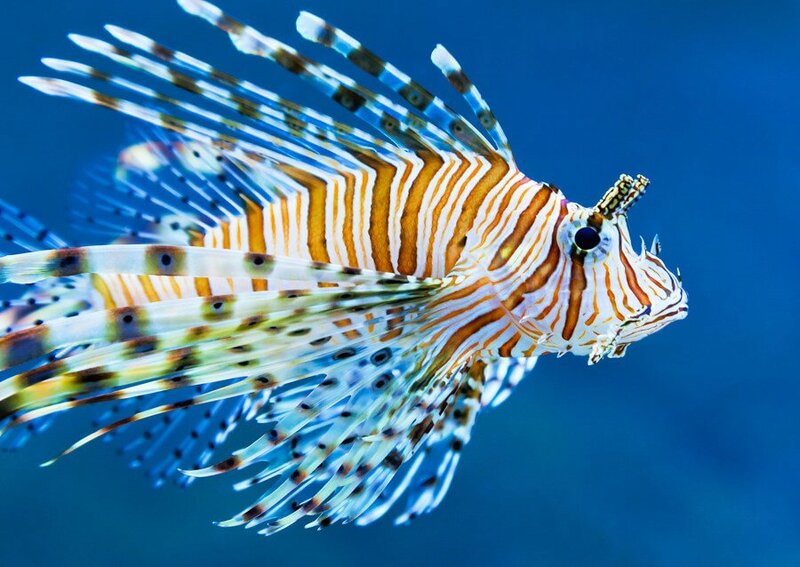 Some knowledge is required prior to the purchase of fish to ensure that the aquarium is suitable. 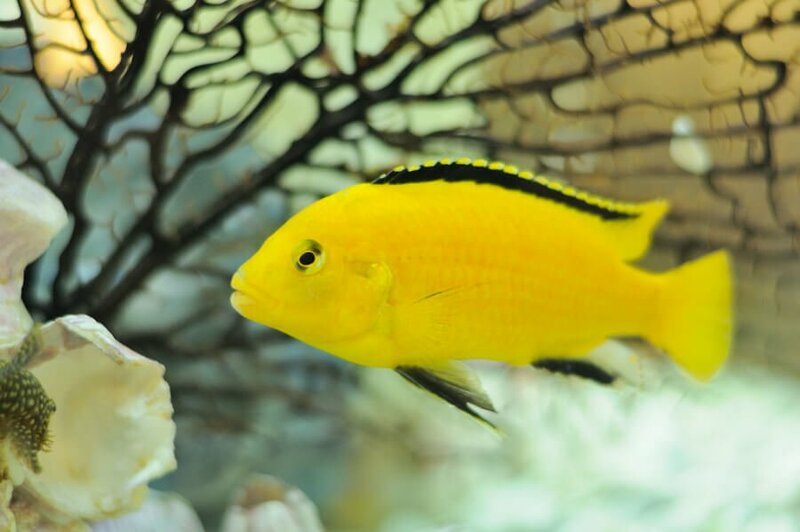 Determination of proper fish includes their preferred environment, behavior and compatibility with their own and other species, and tank specifications. The aquarist should be aware for example that the practical pleco with all its might of 2 inches at the store can potentially grow to 10, 15, even 20 inches. Playing it safe therefore requires the fish keeper to base their choice of aquatic livestock on the fully grown and mature size of the particular species. 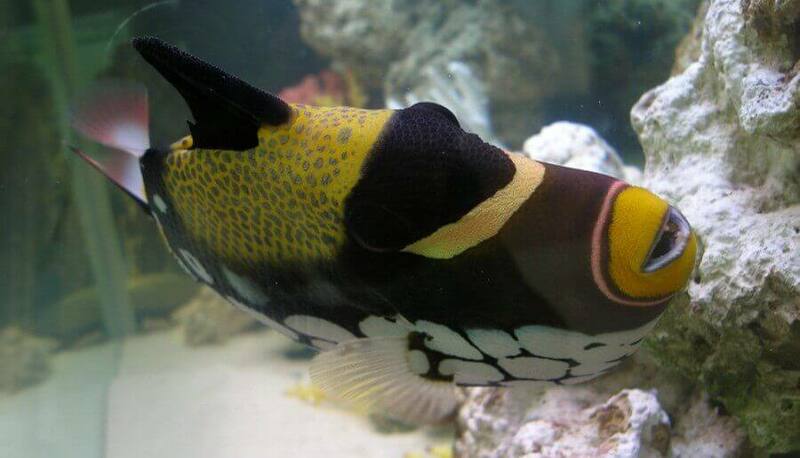 A popular fish consistently stocked in an undersized aquarium is the Oscar. An Estimated 120 Neon Tetras would equal the body mass of one mature Oscar. That means 120 inches of “biomass” according to the industry standard, which would equal a required tank size of 120 Gallons with adequate filtration. Initial signs of overcrowding include more aggressive fish, fin damage, and the outbreak of diseases. Further indications are cloudy water caused by elevated organic and inorganic pollutants with traces of ammonia present. The most obvious and conclusive indicators are rising nitrate levels (even after water changes), dropping pH, and fish odor. Fish breathe oxygen and create carbon dioxide. Carbon dioxide, which is easily soluble, is toxic to fish and lowers the pH as well. 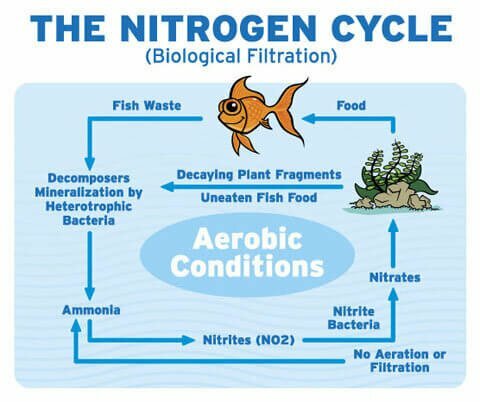 An increasing fish population requires more bacteria colonies (nitrification), which in turn also require oxygen to oxidize ammonia to less harmful nitrites and nitrates. Nitrification produces hydrogen ions, which also lower the pH. As more fish are present, more food is needed and more waste created, leading to an increase in dissolved organics, which interferes with nitrification, resulting in ammonia not being processed into less toxic compounds. Carbon dioxide, hydrogen ions, pH, dissolved organics, and nitrification are all linked together. Changing one will affect the other. 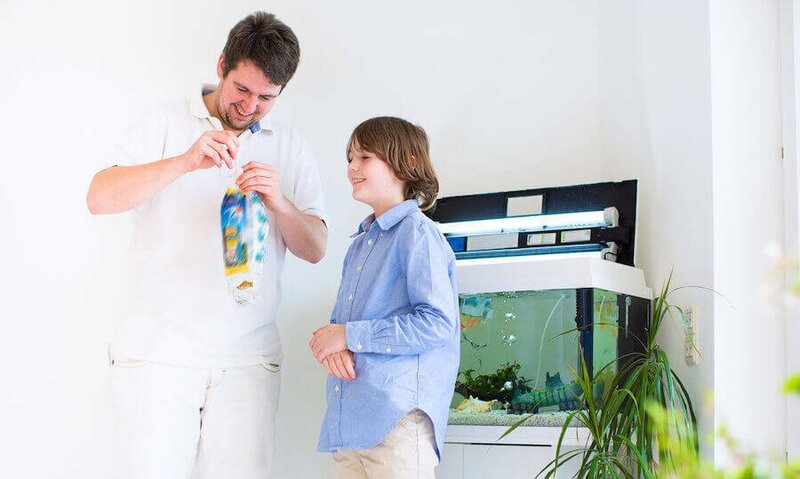 The decisive factor in stocking the aquarium is the hobbyist. Next to the space requirements of the fish species another major factor is the level of involvement. An aquarist on a low level maintenance agenda should stock less fish then the hobbyist on a regular schedule. The trick is to learn about the fish requirements and the boundaries set by the system. The bottom line is that less is more. Limiting the number of fish will yield a healthier aquarium which is easier to maintain and far more pleasurable to own.